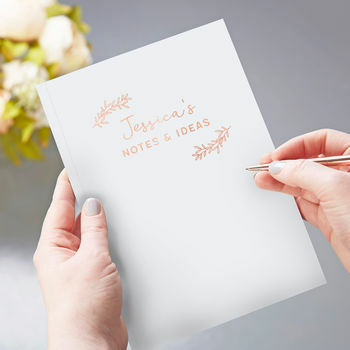 A premium soft back notebook with foiled personalisation. 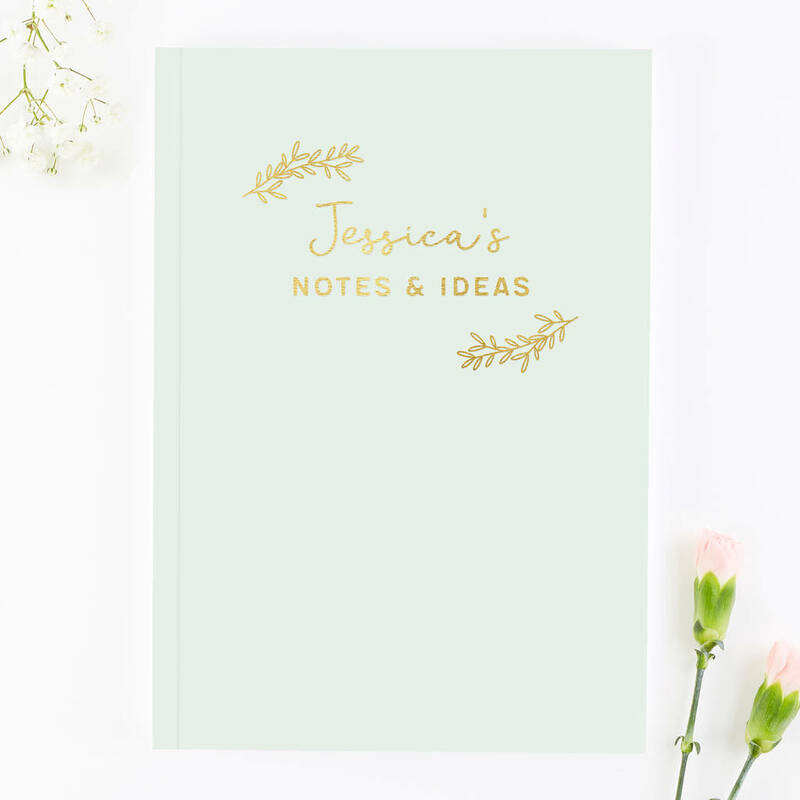 The front features delicate botanical illustrations surrounding the text '___'s Notes & Ideas' in stylish fonts. 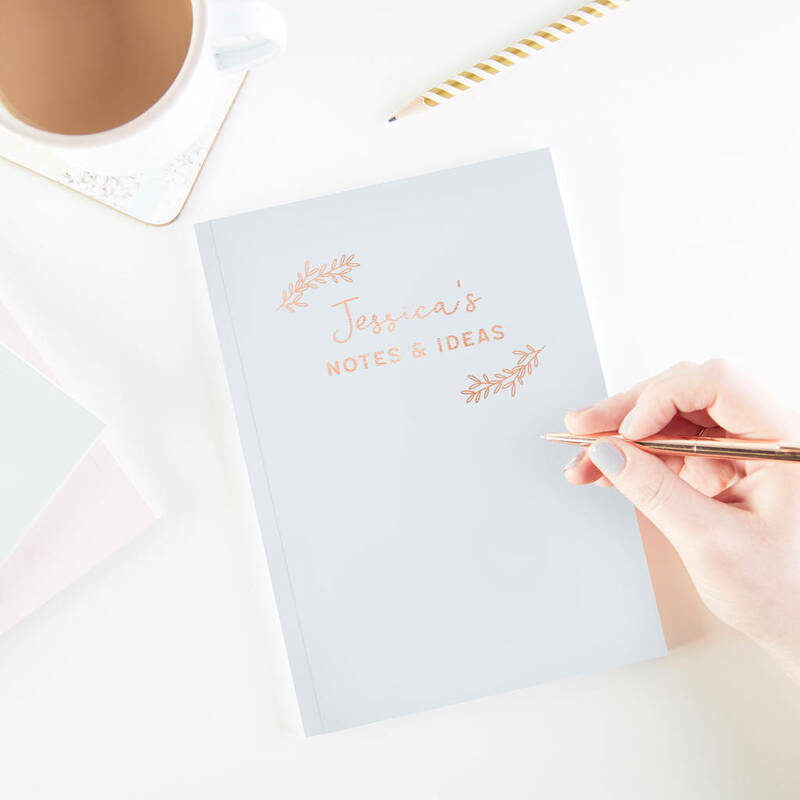 A beautiful notebook perfect for filling with doodles, sketches and notes. 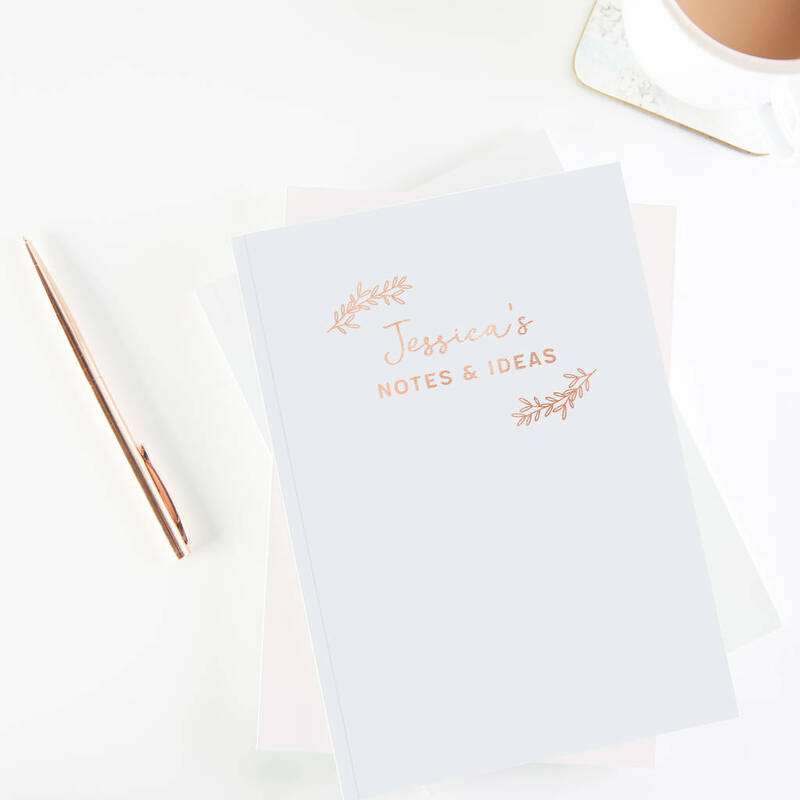 Each notebook is personalised in our Manchester office using gold or rose gold foil that reflects light for a luxe finish. Inside the cover is a pale blush pink print. 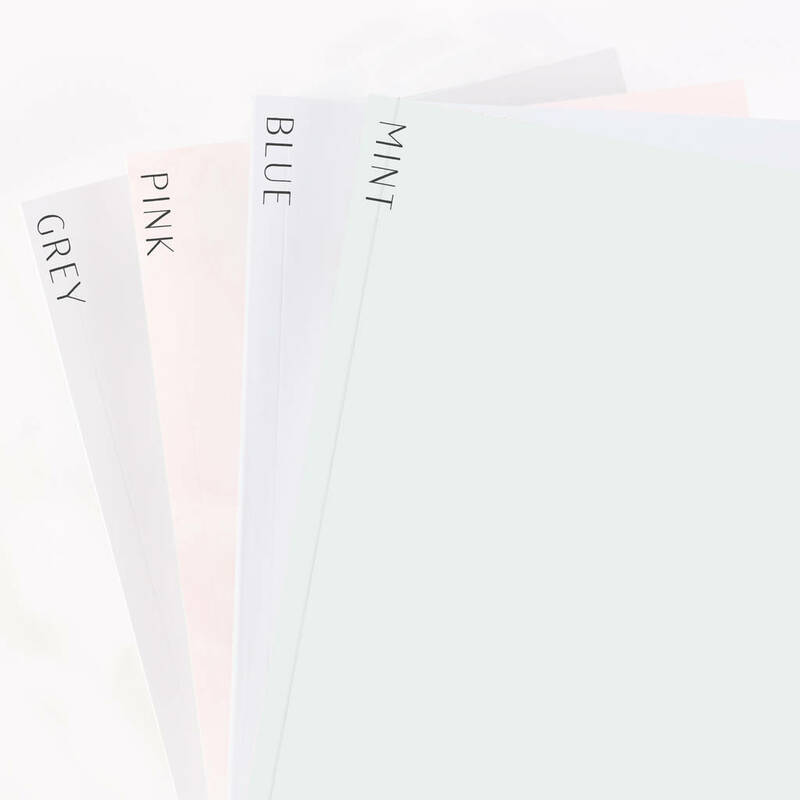 The notebook outer is premium 300gsm smooth card and inside the notebook are 50 pages / 100 sides of off white blank pages. Presented with a wrap around band and cello wallet. These personalised notebooks are A5 size / 210mm x 148mm.